Having someone manage your Facebook page can be one of the best things you do. Leaving the Facebook marketing to those who not only know it, they LOVE it is the best thing you could do for your business. 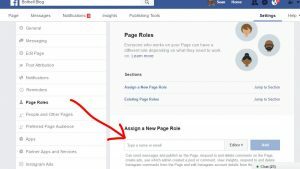 Here is how to add someone as an ADMIN on your Facebook page. Click on the little carrot (upside down triangle) in the top right. Type in the name or email into the ASSIGN A NEW PAGE ROLE box. Note: You can click on the EDITOR box to the right to give more or less access. In this case we are giving ADMIN access, which is access that can do anything. The EDITOR role can do everything except change ROLES and manage settings. You may be promoted to give your Facebook password (this will be the password that you use to log into Facebook on your personal account. The user will then be sent a notification via Facebook (and email sometimes) that they have been requested to be an ADMIN of your page. Ever have issues with Facebook not using the image in your posts when you share a link? It happens to me all the time. 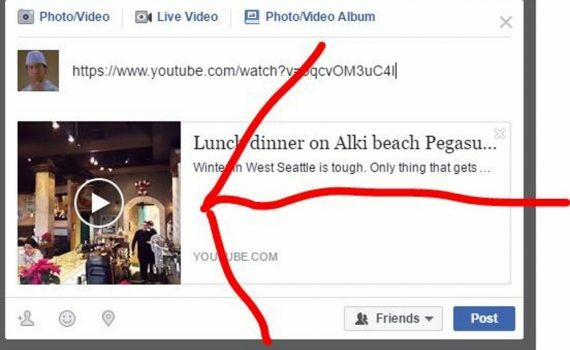 Here are some ways to fix images not appearing in your Facebook post. These tips are only for when you are sharing a link on Facebook. 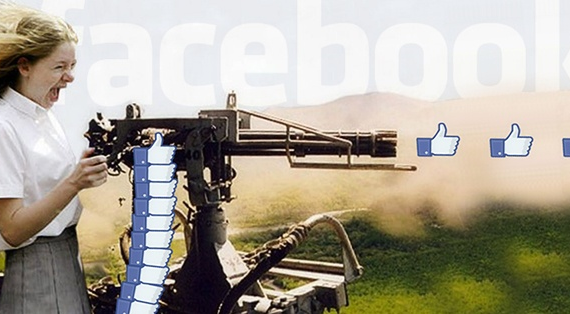 Facebook might have already pulled the image. One thing that I have noticed that during the preview of your post, sometimes the image does not show, but when you finally post it, it does. I don’t like testing it live so create the post and schedule it for an hour later. Once you do that, you can go back and see the post. Nine times out of ten, the image will be in the post. If the post looks good, you can choose to post it instead of waiting the hour. Use a link shortener. If the link that you are using on Facebook is displaying an image of your post, go over to https://bitly.com/ and create a shortened link. Copy that link and try to use it in the post. This has worked for me as well. Check your link. Facebook has a great tool at https://developers.facebook.com/tools/debug/. Plug your link in here and Facebook will tell you whats up with your link. If you have many issues getting your links to display images, there might be something fundamentally wrong with your site or a plugin that you need to add to the site. This is a good way to see how your posts are looking. Adding or removing a /. I have also found that by removing or adding the / at the end of your URL, for whatever reason helps getting your image to display. One word of caution though. Make sure your URL works when adding or removing that backslash. Sometimes that can break the URL. Getting your links to display an image is really important. Most customers will scroll right past text only posts and almost never click on links with no description. Make sure your links are displaying an image and it will help with your social engagement on Facebook.